Trump, at a meeting made in the White House on Thursday, questioned why the United States would want to have immigrants from Haiti and African nations, referring to some as “shithole countries". Donald Trump continues making gaffes. Earlier this weekend, at a press conference with the Norwegian Prime Minister, Trump had claimed Norway had started receiving the first American-made “F-52s” that doesn't exist. 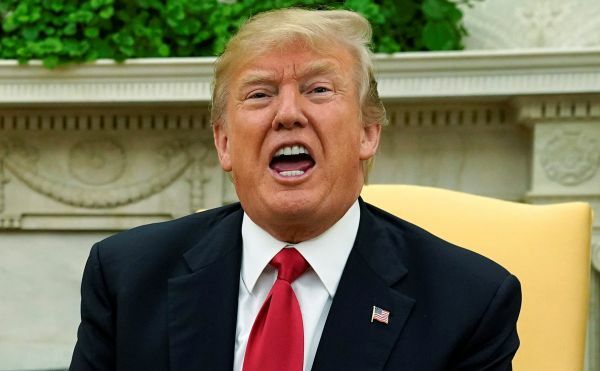 During a meeting with lawmakers on Thursday, US President made shocking comments about immigrants from Haiti and Africa and their countries. "Why are we having all these people from shithole countries?” Trump asked, according to Washington Post reported. Instead of the Latin American and African countries, Trump suggested US should focus its immigrant entry policy on places like Norway. Trump’s shocking statement had a broad repercussion in US press. 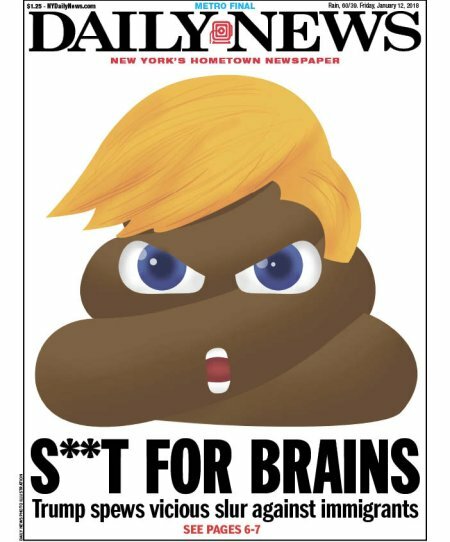 Newspapers around the country debated whether or not to publish the term "shithole" on the front cover of Friday's print edition, in full view of children.